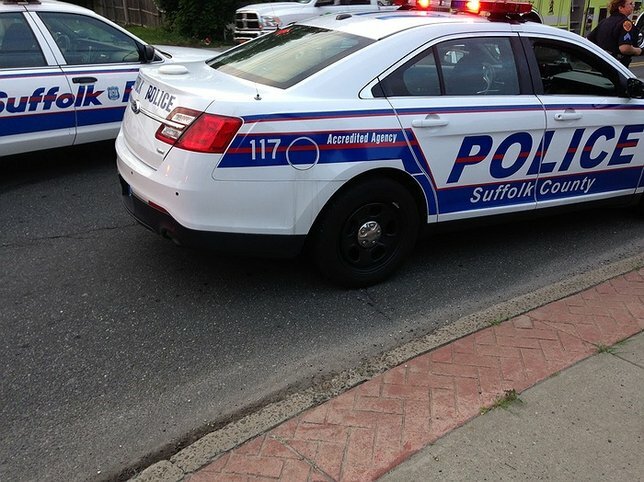 A Suffolk County Police officer was stabbed in the face responding to a 911 call in Central Islip today. The suspect was then shot by another officer. Detectives from the Homicide Squad and the Internal Affairs Bureau are investigating. Central Islip, NY - August 13, 2016 - A Suffolk County Police officer was stabbed in the face responding to a 911 call in Central Islip today. The suspect was then shot by another officer. Police responded to a 911 call at 281 Oakland Ave., at approximately 1:20 p.m. The man, Mark Caraway was armed with knives. Caraway was confrontational and stabbed an officer in the face. Another officer shot Caraway once in the abdomen. The officer was transported to a local hospital in serious but non-life-threatening condition. He required facial surgery. Caraway, 40, of Central Islip, was transported by Central Islip Hauppauge Ambulance to Southside Hospital in Bay Shore, in critical condition. Subject: LongIsland.com - Your Name sent you Article details of "Officer Stabbed in Face, Police Shoot Suspect in Central Islip"